Judy Stokely’s review of Eat Cake. Be Brave. Judy Stokely's Reviews > Eat Cake. Be Brave. This book was the whole enchilada. 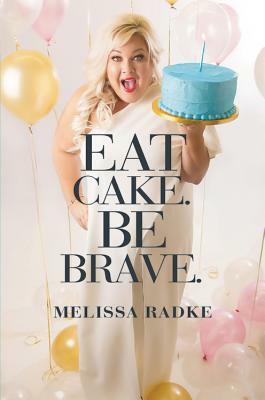 "Eat Cake Be Brave" will make you laugh, because she is a master at being painfully real. You will see yourself, whether you want to or not, in so many chapters. It will make you cringe because maybe you have been the person that she speaks of that was hurt or maybe because you were the person who has hurt others. ((hand raised)) You will cry because you will feel the pain that she went through, even if you have never experienced exactly what she is describing. So many times throughout the book, I just wanted to hop in my car and drive to Lufkin, TX and give her a big ol' hug! It will challenge you to be a better version of yourself. She doesn't pull any punches here. She is raw, real and honest about how she dealt with real-life relationship issues, rejections and, poor decisions. Through it all though, there was a plan to bring it all around to do some good. This book is part of it. So many have been helped by her sharing what God has brought her through already. The way she shares Jesus is so special. He is accessible, loving, kind, gentle and dependable. If you don't know Him...you will want to after reading about His faithfulness in this book. Sign into Goodreads to see if any of your friends have read Eat Cake. Be Brave..